EDMONTON, Alberta -- Not too long after the start of Monday's game between the United States and Colombia -- around the time, in fact, that the referee blew her whistle and reached for her pocket as Lauren Holiday extended a hand in a peace offering to the player fouled -- dark clouds replaced the blue skies under which the game began. Despite some moments of concern, it did not turn out to be a meteorological omen of doom for the favorite. Not on this night, at least. Friday might be another matter. Lauren Holiday will be suspended for the U.S. women's quarterfinal match against China, after she picked up her second yellow card in Canada. Challenged in the first half by a team that, for whatever else Colombia lacked, played with all the joy of competition that at times seems absent alongside its superior athleticism and single-minded purpose, the United States advanced to the quarterfinals with a 2-0 victory. 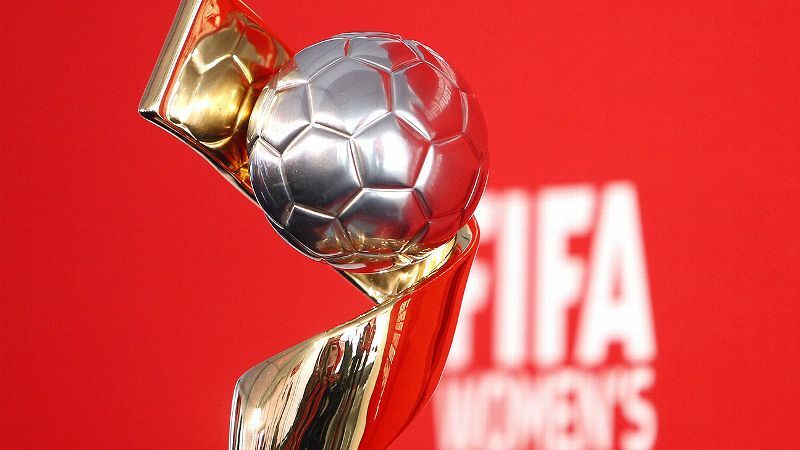 But on a night when both were beacons in an attack still closer to third gear than fifth, the U.S. women lost midfielders Lauren Holiday and Megan Rapinoe for Friday's game against China, after both received yellow cards for the second time in this tournament. The two players who are first and second on the team in chances created this tournament showed their class in the win. And they showed why they will be so missed in the next game. 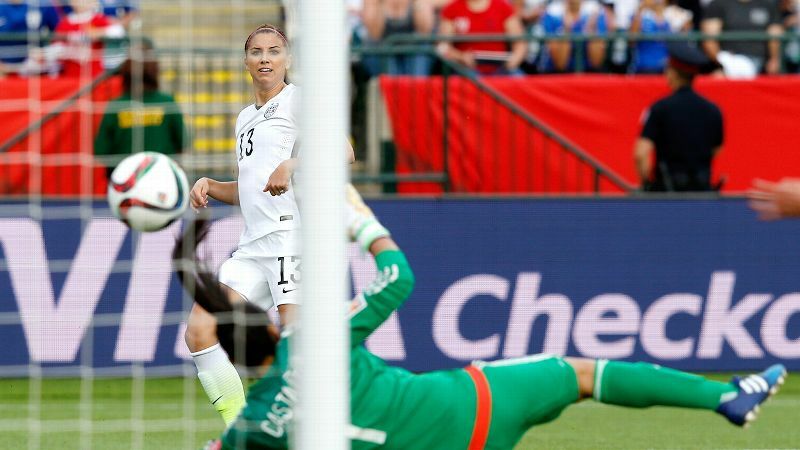 "I thought Lauren was fantastic," Tobin Heath said. 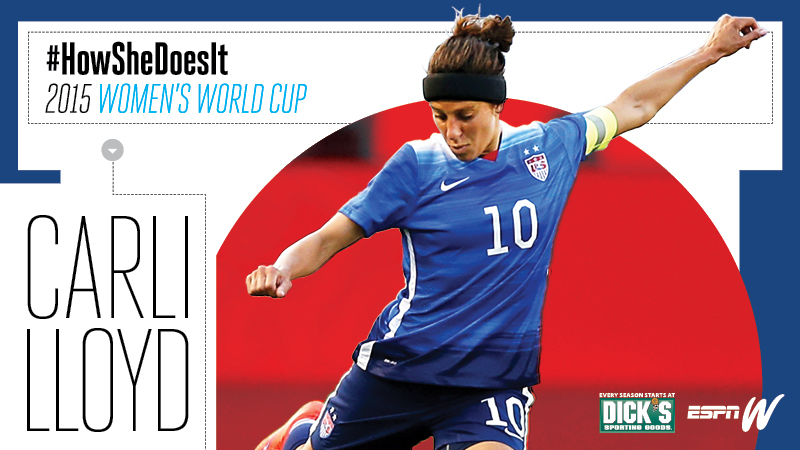 "I think she's an unsung hero on our team. Her work ethic and just her ability and her vision on the field is tremendous. I don't think she gets enough credit for what she does for this team and her leadership qualities. 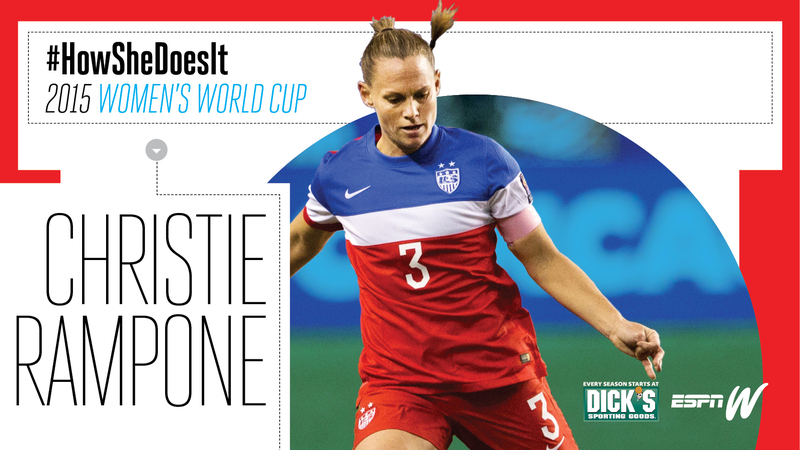 ... And obviously, Pinoe has been one of our stars this tournament so far in her ability to create and be dangerous." Holiday was the first to go in the book in the 17th minute. Trying to close down Colombia's Yoreli Rincon after an American turnover, Holiday arrived late and made contact with Rincon's feet. Perhaps Rincon's going airborne helped sell the referee on the degree of contact, but Holiday's first foul of the game drew the card. To her immense credit, she played superbly over the next 73 minutes, knowing there would be no quarterfinal for her, regardless of the outcome. "I didn't think about it the rest of the game," Holiday said. "It was unfortunate that it happened, and I think it was a weak yellow card, in my opinion. But I think we have a great team, [and] we have a lot of people that can step up." It is nevertheless the worst possible time to lose Holiday, just as one of the most talented players on the roster was turning in her best performance of the tournament. Only moments before the yellow, Holiday pinged a low iron of a pass worthy of Jordan Spieth across the field on a diagonal and placed it on Meghan Klingenberg's foot. A decent cross from the outside back went for naught, but it was the kind of moment Holiday didn't have -- didn't really have the opportunity to have -- in the first three games. Her presence in the game only grew once a formation change in the second half pushed her higher up the field and closer to the role at which she excels in club soccer. "Heck yeah," Holiday said when asked if it was fun to spend some minutes in a more advanced role. "I had so much fun. Obviously, I didn't get the ball as much as I wanted to, but it was fun. It was fun to play in that 10 spot and to be higher up the field." Megan Rapinoe was brought down midway through the second half, which led to the penalty kick Carli Lloyd converted in the 66th minute. Rapinoe suggested her own yellow was perhaps the product of accumulated sins -- she was whistled for five fouls in the first half and, as always, didn't shy from showing her displeasure with some of the calls. But when she ran into Orianica Velasquez as the Colombian player attempted to juggle the ball near the sideline, the yellow came out. Like Holiday, Rapinoe didn't let the call affect her mentally. 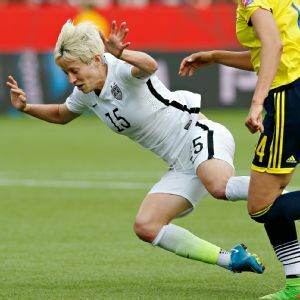 "I knew [it meant missing the next game], of course," Rapinoe said. "You can't change too much how you play. Maybe I could have been a little bit more cautious, but I didn't think the fouls were that bad. Yeah, it's unfortunate both Holiday and I out for the next game. But we've got good players coming off the bench, so I don't feel too bad about it." So it was that they were on the field to play roles in the moments that changed the game. It was Holiday who chased down a Colombian player and, even with the yellow, tackled the ball away. It was Rapinoe whose familiar, soft touch settled the ensuing pass from Holiday and immediately launched a long pass that put Alex Morgan in alone on goal. 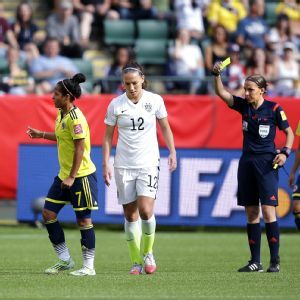 Colombian keeper Catalina Perez drew a red card for bringing down Morgan on the edge of the box, and though Abby Wambach missed the penalty, the United States had the luxury of playing 11-on-10 the rest of the game. Minutes later, Holiday's quick pass to Ali Krieger kept the ball moving and prevented the Colombian defense from setting up before Krieger played in Morgan for the first goal. It was Rapinoe's foray into the box that earned the United States its second penalty kick, this one converted by Carli Lloyd for the final margin of victory. Lloyd called the first half one of the best the team has played in Canada. Coach Jill Ellis said she liked how her team knocked the ball around at times. It sounded optimistic, but much of the best evidence in support of those claims came from Holiday and Rapinoe. "It's getting there," Rapinoe said of the team's play. "I thought there were a lot better things going on tonight, a lot more creativity. I thought we went through the middle a lot better, got Carli involved a lot more, got [Holiday] involved, Tobin was coming inside, as well. It's good to get Alex back and going, get her a goal. I thought that was really big. I think that we keep growing with each game and keep getting better. "Of course, we still want to be flying at everybody and winning 5-0, but these teams are good. We can't just walk over these teams." She's right. The United States won Monday, but Colombia doesn't leave the World Cup defeated. It just leaves after a defeat. The Colombians, trash talk notwithstanding, are and should remain one of the stories of the tournament for their 2-0 win over France and how they played against the United States at even strength in the first half and just as much a player down for most of the second half. Even with the immense cultural and financial challenges it faces in putting a national team on the field, Colombia is good. Beating it in a knockout game isn't something to be taken for granted. Yet Germany beat Sweden 4-1 in a knockout game. That's the same Swedish team that held the United States to a scoreless draw in Winnipeg. France beat South Korea 3-0. That's the same South Korean team that held the United States to a scoreless draw in its final game before the World Cup (a game played without Rapinoe). If the purpose here is to win the World Cup early next month, the United States is going to have to go through either Germany or France. Although the latter had its slip against the same team the United States beat Monday, in this tournament, the Americans haven't come close to playing as well at their best as Germany and France have at their best. Now the final opportunity to find fifth gear in advance of that potential game will take place without two of the players who would be integral to it. Maybe it works out for the best. 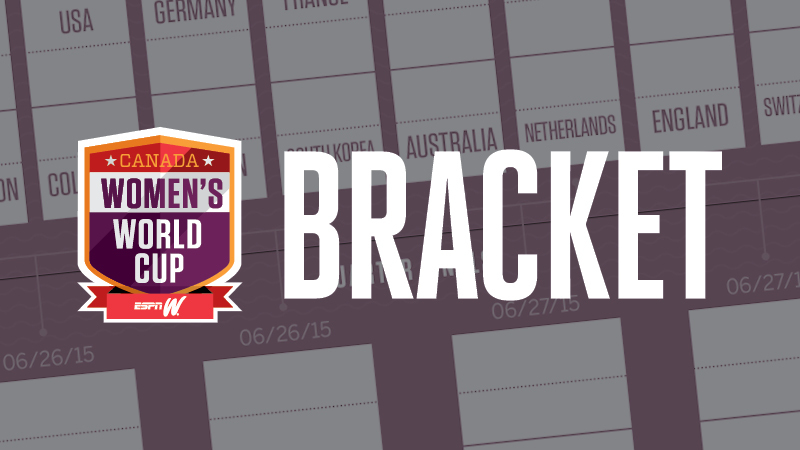 Maybe Morgan Brian, likely to replace Holiday in the middle of the field, and Christen Press, a good bet to replace Rapinoe wide, will be great against China. The Americans have long touted their depth, and on the oldest roster in the tournament, Brian and Press are two of the potential stars for 2015 and 2019. Maybe that will give Holiday and Rapinoe valuable time off to rest and recover. But the clouds that hovered just beyond Commonwealth Stadium on Monday night didn't look like they had any silver linings. They just looked like trouble.